Because, God does change His mind. He changes his strategies. He changes His heart. He is moved. In Christ, He is vulnerable, changing according to the actions of those around Him. But He is steadfast in every change. There’s a great story in Ezra about when the second temple foundation was laid. Half the exile returnees rejoiced and half wept. No one could distinguish the sound of weeping from the laughing (Ezra 3:11-13). What do we make of this story. The exiles had come back from Persia with a calling to build the temple that even Cyrus the King of Persia was behind and thought commissioned by God Himself. God seems to have one intent, though it seems He directs His people differently over time, to build, not to build. The intent seems to be that God wants to be present with His people, and He’ll do whatever it takes to do that, whether it means building the temple or tearing it down. Weeping. Laughing. Building. Tearing down. Sometimes we can’t tell the difference. What was happening was that God’s people were together and you couldn’t tell laughing from weeping. In churches, synagogues, and mosques, sometimes you can’t tell the difference between crying and laughing. People come seeking God together and inevitably people are either suffering or rejoicing, or maybe some of both. What’s important? Seeking God. Muslims, Jews, Christians, Hindus, Atheists, Agnostics, Backsliders: seek God. Seek how He has revealed Himself. Evangelical Christians of the last century have come to use a common, “Invite Jesus into my heart.” While I could argue the phrase is not very accurate biblical language, I want to instead flip the phrase on its head with what I think is a more accurate biblical and theological thought. God invites us into His heart. Since the beginning of biblical history, God has made moves to invite humans into His life, heart, and story. He has called upon humans saying, “I will be your God, and you will be my people.” Leviticus 26:11-13 is the first time and Revelation 21:3 is the last time God or Christ is quoted as saying a phrase about being our God and humans His people. God also states His desire to dwell among us, which was put into practice in the incarnation (enfleshing) of Christ. I gave a few examples in my sermon yesterday about the difference between God inviting us into His heart and us inviting Him into our hearts. Have you ever asked someone over to dinner then two days later realized while eating at their house, they’d flipped the invitation on you! That’s what happened in our relationship with God in use of this phrase, “invite Jesus into your heart.” God invited us into His heart, to know His love, His vast power, goodness, mercy, compassion, and unfathomable depths. Asking Jesus into our hearts is like a bucket asking the ocean to fill it. The ocean has no problem filling the bucket but the bucket loses out on a lot of ocean! No whales, no shrimp, no seashore, no dolphins, no waves, no power, no sailing, etc. Just a bucket of salty water. It’s not that Jesus can’t come into our lives and change our lives, but He desires that we come into His life, His story, His heart. We join the journey with God. He is God and is not in the business of joining our journey as it is. He is in the business of turning us around and bringing us into His bigger story. A phrase like, “I need more God in my life” is small and insufficient for God. Instead, why not say, “I need to submit my life to God”? It’s God’s world that we are in, it’s in submitting to His life-giving reality that we find our own story in His. God is not calling us to put more of Him in our story but for us to put more of ourselves in His story. This Spring and Summer has been a learning first foray into preaching Revelation. I told the Garnett Church of Christ congregation that if I take the risk to preach on Revelation, they ought to take the risk to read Revelation. Many did! And we learned how to read Revelation in a new way. After three months of study, we love the conclusion of the angel St. John fell down in front of, just after he told John to get up and stop groveling at his feet, that they were fellow servants: “Worship God. The testimony of Jesus Christ is the spirit of prophecy.” We learned that Revelation is not about images & predictions as much as it’s about God on the throne, Christ ruling now and forevermore, and aligning our lives to the kingdom that is both already and yet to come, the New Heaven and the New Earth, that we long to live in and we long to see break into the world even now. Revelation powerfully reminds us that no matter how bad the world seems, God is on the throne, Christ rules the cosmos! Revelation calls us to be faithful witnesses in the pattern of Christ. Revelation reminds us that Satan is going down, that God will judge the whole earth & all inhabitants, & His judgments are just and true. 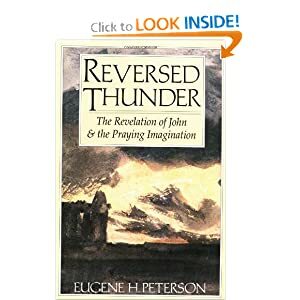 Revelation shows us a hopeful picture of the New Heaven & New Earth, that God in Christ is making “everything new,” removing the curse, & will complete his goal: to dwell with His people forever. Revelation gives us fresh courage for living now as we live counter to our culture that opposes Christ & encourages self-rule, as we endure hardship, persecution, & wait patiently for Christ’s return. Revelation is not about images & predictions but about God. The final word of the messenger to John is “Worship God.” Revelation shows us how to live & worship God as ruler of the universe & not ourselves, Satan, or any other power that claims to be god in our lives. $24.99 for more than 2 hours of content! Jesus says you can do it. Randy Harris believes it’s true. And he’s leading a movement of people who are doing it. College students and auto workers are following a teaching that changed the world. They are learning and living the message of the greatest sermon ever preached. The Sermon on the Mount. These famous words of Christ are controversial, often quoted, but rarely lived. G. K. Chesterton said Christianity has not been tried and found wanting; it has been found difficult and not tried. Does Jesus really intend people to live out these hard teachings? In twelve film segments, Randy Harris takes you into the teachings of Jesus that he says Jesus fully intends for us to obey and practice. Principles about integrity that’s not for sale, sexual purity that begins in the heart, and a life of obedience that’s a response to the profound grace of God. This new DVD set is a training tool for people who want to live the way of Jesus. Centered on the Sermon on the Mount in Matthew 5-7, the video includes 12 segments of 12-15 minutes each. Three years ago ACU Press, a film crew, Randy Harris, and I set out to make a film that would give Christian churches all over the world access to Randy Harris’s teaching that combines great scholarship, humor, but most of all his focus on living the gospel of Christ. The 2-DVD set is priced in such a way that anyone who ever has bought a movie can also buy this $25 DVD set. Every small group, every class, even individuals and families can own it and use it, and it has more than 2 hours of content on the DVDs for $25. A lot of video series these days sell for 4-5 times that or space out the content into multiple DVDs you buy over time. We decided to make this accessible and affordable, and it’s working. For God so loved the world.You’ve never really understood the context of that passage and neither have I. The text gets fuzzy as to whether Jesus or John is really saying it and the quote marks are a fabrication of translators–they don’t exist in Greek that John was written in–but there is a conversation going on previous to John 3:16 that happens either in the late hours of the night or early hours of the morning that has kept me up at night, made me wonder about the shoes, the appointments, the business, the works-righteousness, the attempt to do one more thing, the servianity.A man named Nicodemus came to Jesus one night. He was a Pharisee. Pharisees believe the more you do for God the better he’ll like you. Many of you, like me, are Pharisees with some Jesus-Splenda added to the tea. Christ died, God gives his grace, he blew his Spirit upon us, changes everything and we sip our lattes and check our texts and read our mail and watch our shows and join our ministries and still believe like Nicodemus and the Pharisees that if we could just do one more thing in a day, be one more notch productive, sigh a little more when someone asks how things are going, serve God in one more ministry, then we’ll make him happy.Now some of you are perplexed, because you don’t try to do too much. It’s become fashionable in some circles to say no with flare and for some of you, that’s an excuse to be lazy. You say yes to your job, your clubs, your everything but when it comes to serving in our body, you haven’t said yes in years. Some of you are lazy. I’m lazy about a lot of things. But you pair two things together and you get this weird awful combination. A lazy legalist. What does a lazy legalist do? What does a works-righteousness driven person who is really basically lazy do? A whole lot of nothing. One writer calls this skimming. You do a whole lot. You believe there is more and more to be done, to be experienced, but by the end of the day, you don’t know what you’ve really done. Jesus is perplexed at Nicodemus’s density, his legalistic mind, his lazy stubborn lack of will to let go of all that he controls, all that he is doing for God, all his clout as Israel’s teacher and humbly accept this simple truth into his life. So Jesus goes for a frontal attack on the very faith he was brought up in, Judaism, and on Nicodemus. It seems the conversation goes on, there are quotes translators have continued in John 3:16, so I never knew this, never knew this was Jesus speaking. If you have a red-letter Bible, all this is in red, but I never really paid attention to this fact. John writes that Jesus said this about himself, to Nicodemus, the lazy legalist who thought one more thing for God would make him lovely to God, make him lovable, get him into heaven. Just one more thing, so that I have to stay awake at night to get it all done. And Jesus says, “For God so loved the world that he gave his one and only Son, that whoever believes in him shall not perish but have eternal life. For God did not send his Son into the world to condemn the world, but to save the world through him. Whoever believes in him is not condemned, but whoever does not believe stands condemned already because he has not believed in the name of God’s one and only Son. This is the verdict: Light has come into the world, but men loved darkness instead of light because their deeds were evil. Everyone who does evil hates the light, and will not come into the light for fear that his deeds will be exposed. But whoever lives by the truth comes into the light, so that it may be seen plainly that what he has done has been done through God. Whatever we’ve done we’ve done “through God.” Plain and simple. No legalism. No works-righteousness. We don’t know what Nicodemus’s final response was except silence. John doesn’t tell us. I think I know this. He had no more sarcastic or cynical or stubborn remarks to make. Perhaps Nicodemus was in tears and on his knees. Why do I think this? Because he defended Jesus in the ruling council later in John. 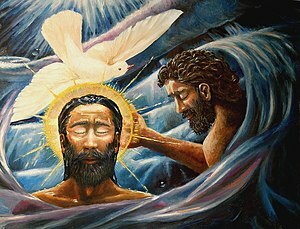 Then he helped his friend Joseph of Arimathea to clean and embalm Jesus’s body. 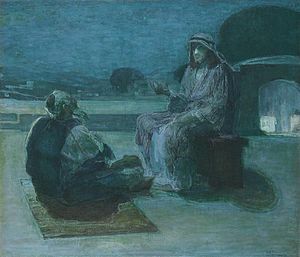 Nicodemus had become a disciple. He gave up his sarcastic, stubborn lazy legalism somewhere along the way not just because of the miracles anymore but because one night he came face to face with the Lord of the universe and when that happens the only thing you can resist is that one part of God that would not compel you without your choice. You still have to make a choice, but the choice is so clear that all works-righteousness and all the things you’ve ever done melt away in the light of Jesus face. Turn your eyes upon Jesus. Look full in his wonderful face. And the things of earth will grow strangely dim, in the light of glory and grace. And that’s how it is with people born of the Spirit. We’re a mix of flesh and blood and Spirit, eternity stranded in time, to quote Michael Card, people born from above like Christ and filled with a singular hope and focused desire to know nothing in this world so interesting and intriguing and filling as the love of God that comes into the world through the Son of Life who gives us life and blows into our world and we see the results in our lives. Like Nicodemus we’re intrigued with the miracles, love the activity of life, obsessed with bad habits, but those activities will not give us life. Only what is done through God will give us life. And Nicodemus learns and we learn with him that the Spirit blows where it will, and if we’re paying attention, we’ll see the kingdom in that, no matter where it blows, that’s where we go. For two thousand years many Christians have considered the Sermon on the Mount to be the most important words in the whole Bible. You would think that the words considered to be spoken by Jesus and written down would be easily interpreted and followed. But over the centuries these words have become the most hotly debated words in history. And that’s part of the problem. They’ve been debated more than followed. Some parts of the sermon are either so problematic or difficult that they’ve been left alone by preachers and teachers. Have you ever been invited by a church leader to shape your life around this teaching of Jesus? My guess is that you haven’t. This is your invitation to the most important teachings of Jesus Christ. There’s a lot to know, but most importantly there’s a lot to do. When it comes to the knowing part, I’m going to err on the side of non-technical explanations rather than complicated and detailed. Why? In order to focus on the doing of the words of Jesus. Right here at the beginning I want to give you a brief sketch of how the Sermon on the Mount has been handled differently since Jesus’ words were first written and passed down. Don’t worry—I’m not going to bore you with a prolonged explanation of what scholars have said over two thousand years; but the broad strokes of the use of the Sermon on the Mount are fairly important to understand as we get started. Early church leaders thought the words of Jesus could be practiced literally, and the Didache, a Christian document from the early second century, includes lots of language that sounds like words from the Sermon on the Mount. In the fourth century when large numbers of people were baptized into the Catholic Church, Christian leaders began to make a distinction between those who really keep the hard teachings of Jesus (monks and bishops and the like) and those who are baptized adherents of the church who are expected to follow only the basic precepts. So over the centuries, the Sermon on the Mount became something that was for extra credit. Eventually people believed the sermon was just too hard to do, that Jesus was proclaiming an ideal of the new kingdom, but that his words were not meant to be practiced literally. Some church leaders have even thought Jesus intentionally set a high standard to illustrate how far short we fall and how much we need the grace of God. On the other hand, from the sixteenth century on, a group called the Anabaptists thought that Christians should practice the Sermon on the Mount literally, that there should be no dif- ference between clergy (church leaders) and laity (regular folk) when it comes to following the words of Jesus. 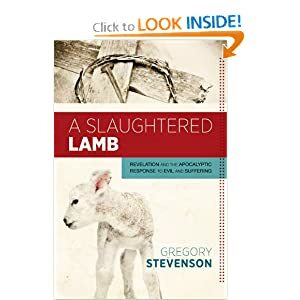 In the last five hundred years the church has argued about whether Jesus really said everything in the sermon or whether Gospel writers just based it on true events of Jesus’ oral teachings but bent it toward their own way of thinking. That would make the sermon a way of showing Christ’s authority as the Messiah, rather than an actual manual for living. Church leaders can do this but it’s too hard for regular folk. These teachings of Christ are too hard for anyone, and if we try to follow them it leads to legalism. The teachings are too hard but they show our need for God’s grace; keeping the laws literally is not the point. Yes, they are too hard but by God’s blessing and grace we must try to keep them. My journey has taken me through all of these approaches as I’ve studied, heard, prayed, and tried to live the sermon. But I have come closer to the fifth category than ever before. This book is the story of how I’ve gotten there and what I’m trying to do about it. And it’s an invitation to you to come with me, to live the sermon, to do what Jesus says. Category number five above is really a return to what the early church thought: We can do this. But we certainly need God’s empowerment and grace in order to obey what Jesus says. So this book is not just a study of the Sermon on the Mount. It’s a way of discovering what Jesus says so we can do what Jesus says. My intention is not to add information or advance scholarship about the Sermon on the Mount. The simple historical sketch I just gave is about as much as we need for our purposes. What I’ve written here is different from other writings on the Sermon on the Mount. For more than two thousand years we have benefited from scholars, translators, and interpreters who have indeed debated and taken different positions on the words of Christ, yet they have been talking about the most important words we have on record of the teachings of Jesus. I believe that by using the best translations available and accept- ing that these words were written based on the oral teachings of Christ and written down for us by Matthew and Luke, we must take these words seriously as a rule of life. In fact, many Christian communities throughout the centuries have based their rules of living together on the words of this sermon. So I’m not attempting to write a scholarly book on the Sermon on the Mount. I’m trying to provide a field manual for living the life Jesus wants for us. This book, which includes content from a film series I did by the same name, can stand alone, or it can be used along with the DVD as a field manual for groups or individuals who want, not only to know more about the Sermon on the Mount, but also to live what it teaches. The Sermon on the Mount is full of hard teachings, but at my core I believe Jesus wants us to live out these teachings, however imperfectly. I believe also that by living these teachings Jesus gives us incredible and abundant life. He even promises that if we practice the commands and teach others to do so, we will be called “great in the kingdom of heaven.” He says that those who hear his words and put them into practice are wise. Those who do not are foolish. Jesus didn’t intentionally make this so hard we can’t possibly live any of these teachings. I believe the teachings are doable, but the problem is that the church has long taught that these truths are so unattainable and impractical that they’ve simply been ignored. Not only has it been found difficult and left untried, but even to suggest following the Sermon on the Mount as literally as possible—we’ll make plucking out your eyes and cutting off your hands a quick exception—appears to many as some sort of fanaticism. I teach at a small university in Texas. Each year I stand in front of eager—and sometimes not so eager—students and teach them the truths in the Sermon on the Mount. I always have to convince them that Jesus is really serious about living this life. This isn’t “Suggestions on the Mount.” This isn’t Jesus raising the bar so high that we can only try and fail and so learn a lesson about the grace of God—though certainly that will happen over and over in our lives. No, this is Jesus standing in the hills around Capernaum, probably overlooking the Sea of Galilee, a breeze blowing, and eager—and some not so eager—people hanging on Jesus’ words. Some wanted to catch him in theological corners and then try to paint him in. Others wanted just to be healed of diseases. Still others heard those words and believed that they could follow Jesus and do what he said. So, here is the beginning and the end of the Sermon on the Mount: doing what Jesus says. And that’s what this book is about. The question for us is not, “Can you do these teachings?” They are doable but not doable perfectly, so expect some failure, some resistance from yourself and others. No, the question is, “Will you try?” This book is a field guide for those who choose to try. Since there is little evidence of children being converted in the early church, we ought to think theologically from Scripture and work from there.